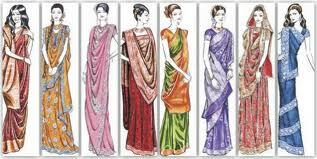 Traditional Saree is among such Indian dresses whose fashion has never found to be out of date. This outfit is being worn since decades and till now is found prominent among young as well as old ladies. Now with the change in trend and emergence of modernization sarees are also being modified into a more stylish way through which they fit into the trendy fashion world and give you a stylish look even in the most traditional wear. Various designer sarees available in the market have taken the aura of sarees to a modern outfit in which even the modern class people fit well. A blend of contemporary and conventional outfit which makes you appear at your best. 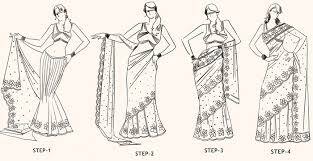 Experiment with your appearance and turn out new with saree. You could also add an extra tint of modernity on your traditional saree by adding a designer blouse to it and by mixing and matching of out of the ordinary colors. With modern design blouse, like a sleeveless deep neck blouse, and other contrast colored designs which would add an extra bounce to your look. Apart from this, by adopting the various ways of draping saree, you could appear in a new look every time when you wear a traditional saree. This long outfit could bring a lot of new looks o your appearance and could range from a custom to smart look, all in one. Traditional Saree is one such outfit with which you could look stylish yet beautiful, and you could mingle this outfit with varied accessories, making it appear more sensual. In the accessories you could include umpteen kind of jewelry, clutches, and a well going footwear with the traditional saree which makes your attire complete and helps you look stunning. Yet another specialty of this outfit is its feature to fit well in every occasion, that is, you could wear a saree at work, at home, and also at a party. So if you decide to wear a saree, you will not have to give a second thought about the purpose and occasion of dressing up. how to wear traditional saree? Wearing a traditional saree looks even better if you experiment on the prints and the designs of the fabric. The latest trend includes merged prints of two types, or two kinds of looks merged like a printed and a plain look. Apart from this animal prints sarees are also highly in demand in the market as this provide an exclusive look which you could try upon to look a little out of the crowd appearing attractive. Floral printed saree is yet another attractive look which you can adopt to give a livelier outlook to your personality. Bring a modish and time honored look for yourself by following these extra tips and enhance your appearance bringing the best out for yourself. Get in style that makes you look exceptional and bring a new look to your presence which is stylish, elegant, exotic, and beautiful which would surely get you highlighted.